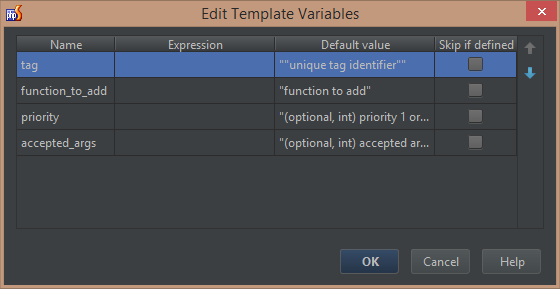 How can I insert double quotes (not single quotes) inside the default value in a file template? Just like in the "tag" variable of this live template? Currently, the "tag" will not give any default text.